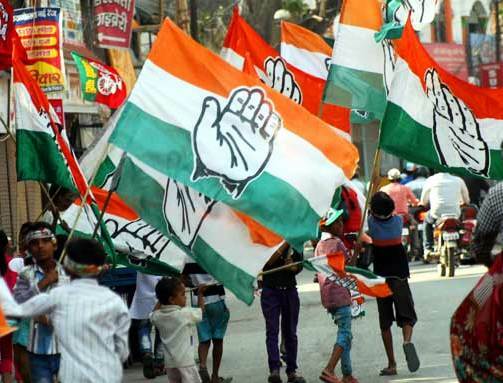 Kolkata: In another setback to the opposition unity, the Congress party has decided to go it alone at all 42 LS seats in West Bengal following rift over an alliance with the Left. At a Press conference, state Congress chief Somen Mitra charged the Left with not adhering to the coalition dharma and announcing their list of candidates for 25 seats while the talks were still on. “Announcing the candidate list in their own way is against the ethics of an alliance,” the state Congress chief told the media on Monday. The Left released the first list of candidates for Purulia and Basirhat seats on March 15. As per the list, the All India Forward Bloc (AIFB) candidate Bir Singh Mahato will contest from Purulia while CPI’s Pallab Sengupta will join the poll arena in Basirhat. With Congress deciding to go solo in the polls, West Bengal is set to witness four-cornered contest among four prominent parties, the Trinamool Congress (TMC), Left and Bharatiya Janata Party (BJP) and the Congress. In the 2014 General Election, the Congress and Left had won four and two Lok Sabha seats respectively. The poor poll strategy on the part of the Congress has already resulted in Samajwati Party SP) and the Bahujan Samaj Party (BSP) sealing the alliance deal for political-significant Uttar Pradesh minus Congress while the Congress failed to seal alliance deal with the Arvind Kejriwal’s AAP in Delhi. The situation is not good in Bihar too where the Grand Alliance has reached on the brink of collapse owing to stubborn stance of the Congress which wants to get more seats without looking into its own political strength. In the last LS polls, the Congress had won two seats out of 12 it had contested in alliance with the RJD of Lalu Prasad.